This is not just a pop-up book. This is magic come to life. It’s amazing to watch how these images unfold before you with no other mechanism than paper. No batteries. No computer chips. No holograms. Simply beautiful art and amazing paper engineering. 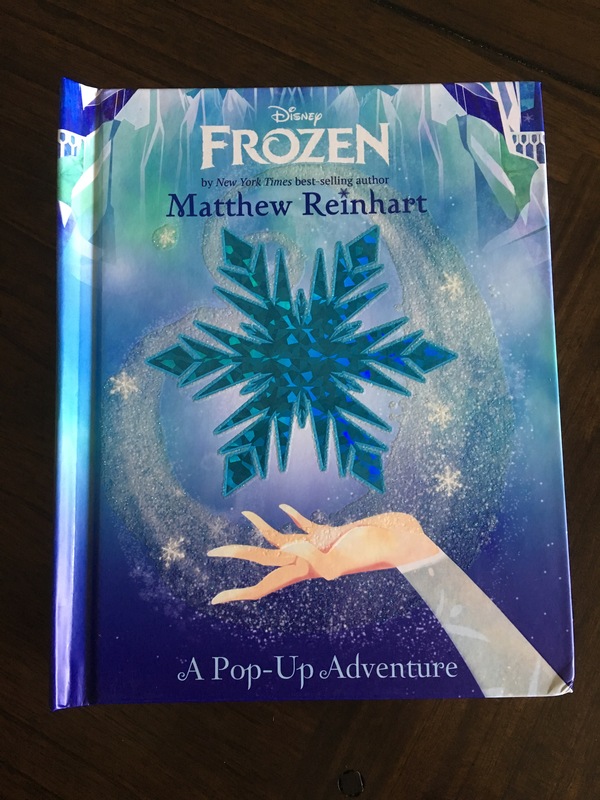 Frozen: A Pop-Up Adventure isn’t just authored by Matthew Reinhardt but shaped and created by him also. 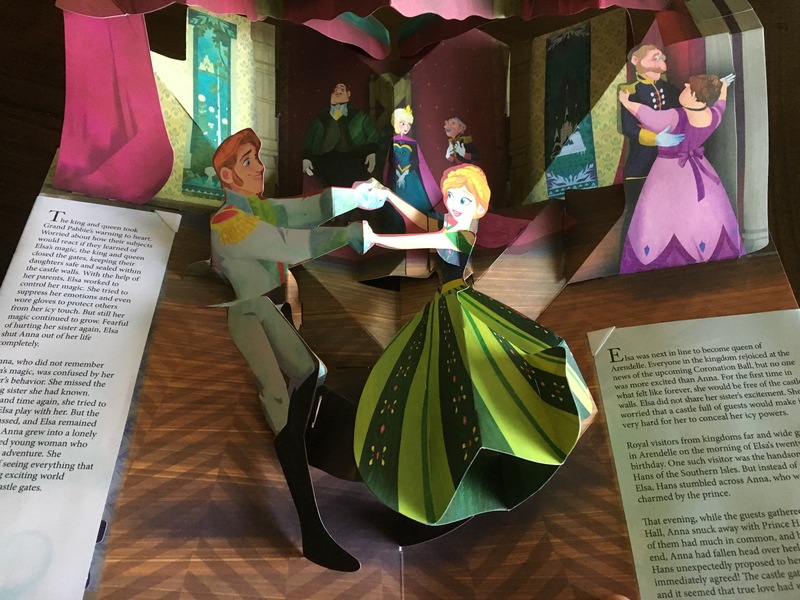 Matthew Reinhardt is a pop-up book creator and he has done extensive work in the field. He has created books on Star Wars, Marvel, and the Disney Princesses among many others. He has done both simpler books and books like Frozen: A Pop-Up Adventure which are much more grand and majestic. All of his work pays great attention to detail and I’m most amazed that Matthew does all the work himself. He does the art, writes the stories, AND builds the pop-up features in the book. This one in particular is amazing. It has flaps, pull tabs, and pop-ups as you would expect, but done in ways that are more creative and detailed than most other books of its kind. While children will be dazzled and amazed by it, at $40.00 this isn’t a book you probably would give to your average 5-year old. As well constructed as it is, it would be likely to be so loved and played with that it would not last long. One of the intricate works of art contained within the book. It’s hard to believe that this book could ever possibly lay flat. But perhaps that’s what it is all about, right? Books like this are meant to be loved and played with. They are meant to be treasured. And although the price point is high, it is certainly money well spent for the Frozen fan. This would make a great gift for both adults and children. The good news is that Matthew is working on more projects directly for Disney. His second book which will feature the world of Pixar animation will be out next Fall. Next Next post: Have You Thought of Doing A Disney Internship?